To date, we have featured the work of the celebrated Hong Kong political commentator and ‘China Watcher par excellence’, Lee Yee (see The Best China). In ‘Watching China Watching’ we offer a range of reflections by others on the study and appreciation of the Chinese People’s Republic. 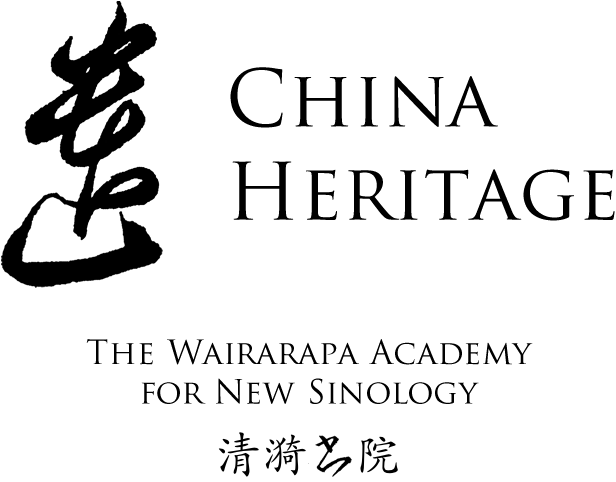 Underpinned by New Sinology, and in the tradition of other students of Political China, we first offer some insights of those who have sought, with various degrees of success, to understand the party-state of post-1949 China. The men and women who taught us to engage with the Chinese world and to appreciate things Chinese in a holistic fashion were motivated and inspired by many things: their personal histories, a diverse range of interests, as well as a pressing necessity to watch (and to watch out for) China. For many of them, Chinese and non-Chinese alike (after all, some of the greatest China Watchers are from China), China was not a distant subject for study but an essential part of lived reality. Their insights were generally based not on some crude social science or anthropological approach to observing The Other, or the result of dissecting an object rich in possibility as part of some ambitious career trajectory. Their understanding was based as much on entanglement, fraught questioning, a spirit of self-discovery and personal enrichment as the result of a lifelong effort to approach what is in fact an all-encompassing cultural-political world from a broad humanistic perspective. We are interested in the professional China Watchers, a once nearly-defunct claque of people working in government for national political ends, journalists, academics, ne’er-do-wells, as well as the talented curious and literary dilettantes. In the ‘New Epoch’ of Chairman of Everything Xi Jinping, the long-overlooked, or underestimated, skills of being able to read, listen to and understand the bloviations of the Chinese party-state are, perhaps, in vogue once more. In producing Watching China Watching we also want to leave some material from the past for those who are engaged with the Chinese multiverse and who would watch, learn, imbue and develop their own approach to China and its world as part of their personal human struggle in what is a world of contentious ideas, ideological fabrications, conflicted interests and strained emotions. Below we first present some observations by Simon Leys (Pierre Ryckmans, one of our Ancestors) on China Experts, a category of people who have long made an art form, and lucrative careers, out of fake news and fake analysis. This is followed by the Ten Commandments of László Ladány, the founder and editor of China News Analysis from 1953 to 1982. For an interview with Yves Nalet, S.J., the successor to Ladány, and a discussion of the fate of China News Analysis, see here. For more on the topic of ‘The China Expert’ 中國通, or ‘Old China Hand’, see my introduction to Jao Tsung-I on 通 tōng — 饒宗頤與通人, China Heritage, 23 June 2017. Paris taxi drivers are notoriously sophisticated in their use of invective. ‘Hé, va donc, structuraliste!‘ is one of their recent apostrophes — which makes one wonder when they will start calling their victims ‘China Experts’! The People’s Daily has already apologised to its readers for ‘all the lies and distortions’ it carried in the past, and has even warned its readers against ‘the false, boastful and untrue reports’ that it ‘still often carries’. The China Experts used to echo it so faithfully — will they, this time again, follow suit and offer similar apologies to their own readers? From an review-essay of Mao: A Biography by Ross Terrill (1980) published as ‘All Change Among the China-watchers’ in The Times Literary Supplement, 6 March 1981. The full essay also touches on the China insights of Edward Friedman and Han Suyin. — Ed. Remember that no one living in a free society ever has a full understanding of life in a regimented society. Look at China through Chinese spectacles; if one looks at it through foreign glasses, one is thereby trying to make sense of Chinese events in terms of our own problems. Learn something about other Communist countries. Study the basic tenets of Marxism. Keep in mind that words and terms do not have the same meaning in a Marxist society as they do elsewhere. Keep your common sense: the Chinese may have the particular characteristics of Chinese, but they are human beings, and therefore have normal reactions of human beings. People are not less important than issues; they are probably more so. A group may adopt the programme of those who oppose it in order to retain power. Do not believe that you know all the answers. China poses more questions than it provides answers. Do not lose your sense of humour. A regimented press is too serious to be taken very seriously. Above all, read the small print!